Brand yourself as a technical expert by showcasing your patents or patent applications in an interactive manner with Relecura’s Inventor Index. Meet our Inventor Index (i-index) – a user-friendly platform to view your patents, measure their quality, and present them to the world. 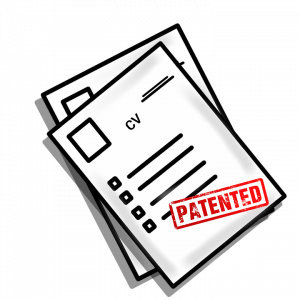 Patents, a hallmark of the subject-matter expertise of individuals, are often found hidden in resumes or behind frames on the walls of cubicles. Using this feature, you can measure your innovation footprint and generate a link to share via email, over social media or present it on your online profile (think LinkedIn). What is the Inventor Index? 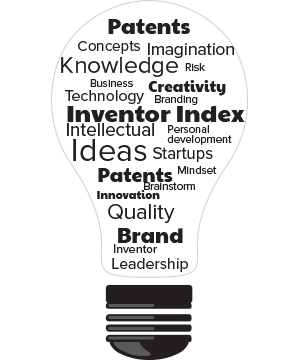 The Inventor Index aims at measuring the quality of a patent or patent application using different factors. The i-index takes into account parameters such as the number of granted patents, patent applications, and the types and number of citations. Based on these, you are given a score for your patents. The i-index gives an indication of the technological impact and the overall quality of your patents. Why use the Inventor Index? In the present digital world, there are multiple avenues to exhibit one’s professional experience, accolades and knowledge – to build a personal brand. We constantly seek out ways to highlight our unique selling propositions (USPs) to a larger audience. In such a scenario, patents become an effective tool to create an impact. 1. You are competing against a large number of candidates for a job position or funding from an investor (if you are a startup). In this case, presenting your patent/patent portfolio will not only earn you brownie points but also help you stand out from the crowd. The Inventor Index becomes a way to benchmark the quality of your patents against those of the competing candidates, much like the indexes in the academic world that measure the impact of the work of researchers. 2. You have been eyeing that job promotion for the last few years. One of the ways to make your case is to establish the quality of your expertise by showcasing your patent applications. 3. If you are an independent consultant, patents can become the differentiating factor you need to build your brand. It will provide you with instant credibility and mark your brand as that of an innovator. Using this link, visit our Inventor Index site and enter the numbers of your patent publication(s). Alternatively, you can search for your patents by entering your name (if you are a named applicant on the patent). To calculate the quality score for your patents, register or login to our system. You get your Inventor Index score and a link that can be shared with others. You can also showcase your patents by inserting the link in your online resumes or your company page. Watch this video for a step-by-step guide to creating your Inventor Index.